Revel in an authentically immersive experience of Latin cuisine with Argentinian flair only in Sudestada Jakarta. Revel in an authentically immersive South American experience in Sudestada Jakarta. Meaning a “powerful wind” in Spanish, particularly similar to the cool strong breeze before a mighty storm, the word Sudestada is an auspicious name that brings good luck in Argentinian culture. Now opening in Jakarta, Sudestada Jakarta is ready to serve Jakartans the flavours of authentic Latin cuisine with Argentinian flair. 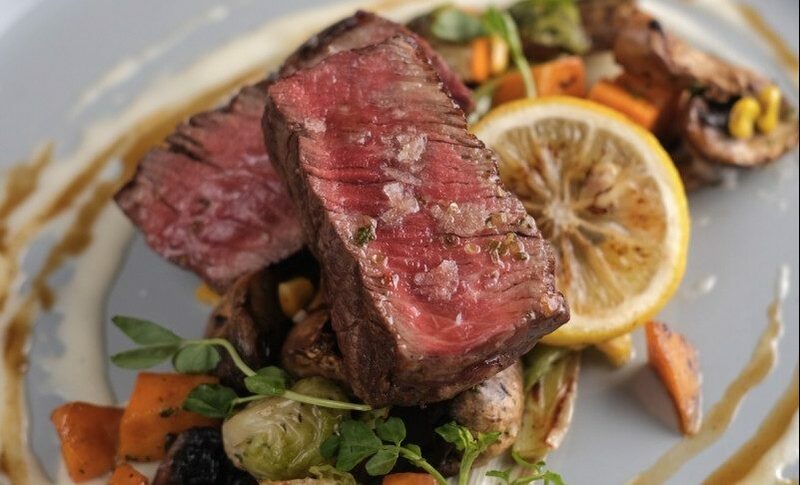 Helmed by Victor Taborda, the Executive Chef and owner of Sudestada Jakarta, this Argentinian grill, bar and cafe offers a sharing style menu designed to bring people closer over food. This sharing concept is often found in an “Asado”: a cherished family gathering around the grill in Argentina. Here, you can savour one of the signature dishes that is the hand-cut beef empanadas or fried stuffed dough pockets with beef filling, whose recipe was passed down from the chef’s own grandmother. The full and meaty texture along with its light but savoury flavour will surely leave you craving for more. 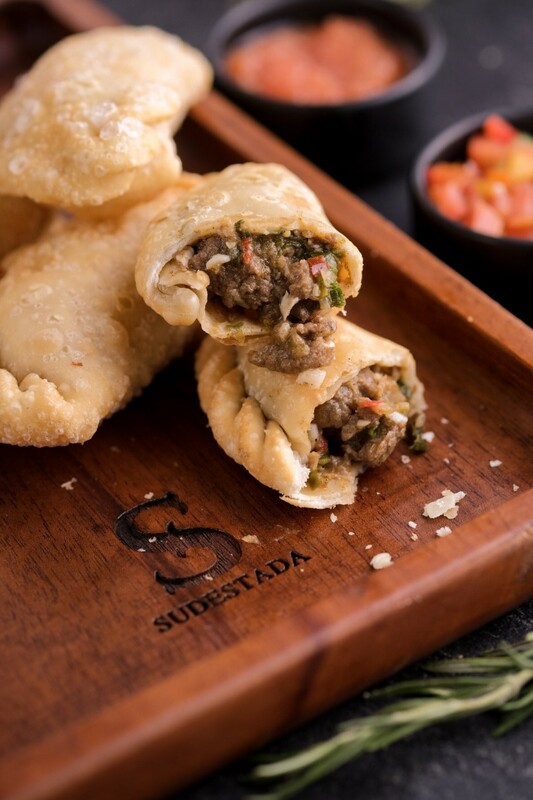 Savour one of Sudestada Jakarta’s signature dish: Hand-cut Beef Empanadas. Light and savoury, this little treat will leave you craving for more. Dine with Argentine’s staple dishes such as homemade salchicas or minced pork and beef sausages, and the thick crust Argentinian-style pizza that is heavily covered in mozzarella cheese. Delight yourself with a selection of slow-grilled meats ranging from Ojo De Bife (rib eye), Bife De Chorizo (striploin) and Tira de Asado (short ribs). Relish in the juiciness and tenderness of the meat along with the nation’s go-to condiment, chimichurri. Made from oil mixed with loosely chopped parsley and garlic, the tangy and garlicky chimichurri is the perfect compliment to any grilled or savory dish. 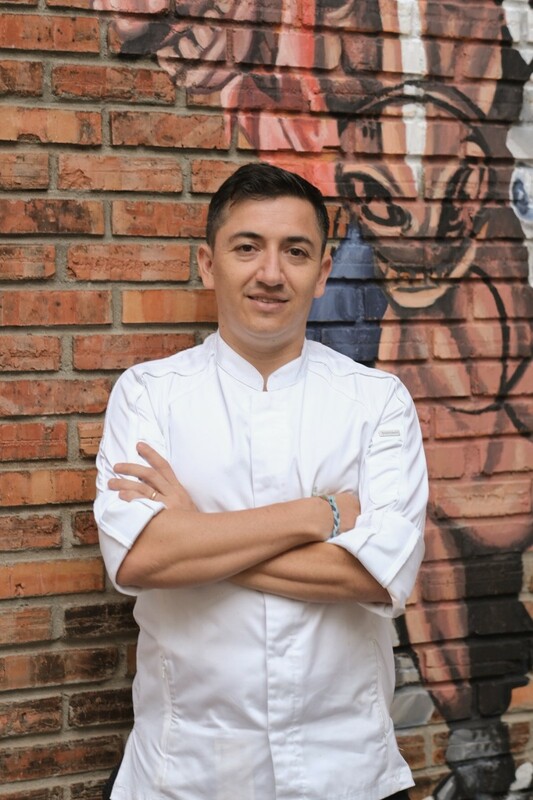 Chef Victor Taborda, Executive Chef and Owner of Sudestada Jakarta, presents an authentic Latin flavours with Argentinian flair in Sudestada grill, bar and cafe Jakarta. Complete the experience by revelling in the Argentinian classics that revolves around Argentine’s culinary treasure, the Dulce De Leche or caramelized milk jam. Indulge in an array of sweet desserts such as Flan Caramelo, Churros con dulce de leche and Alfajores that will perfectly compliment your coffee or tea. 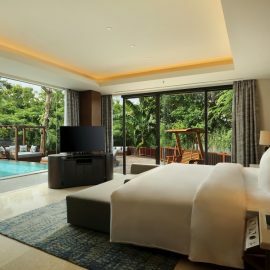 Decorated in a style that resembles a grand Argentinian house, with its floor-to-ceiling glass panels, murals, red brick walls, dangling plants and flowers, along with a quaint patio with refreshing water feature and expansive outdoor courtyard, Sudestada Jakarta fully immerses its guests in the homey Argentinian ambiance. With a huge framed photo of the El Caminito Building, a landmark tourist destination in the La Boca district, dominating the dining room, guests are instantly transported to Buenos Aires, the place where it all begins. 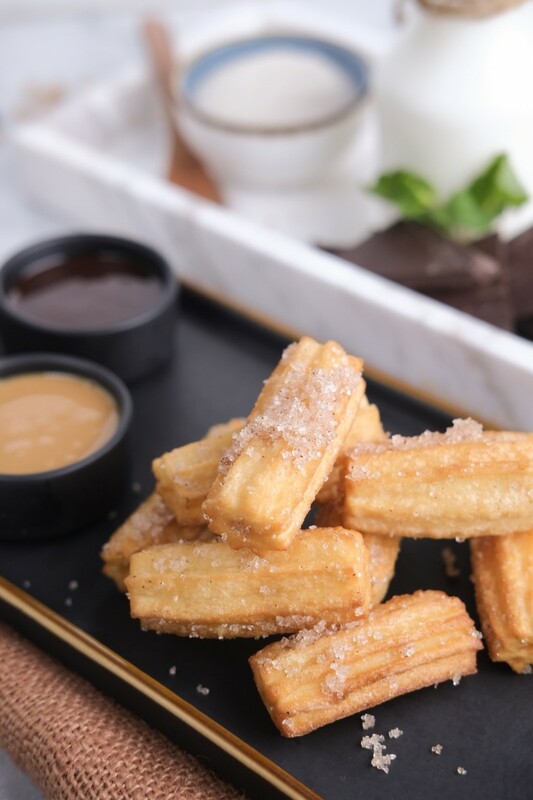 Indulge in the Argentinian classic, Churros con Dulce de Leche, a crunchy and bite-sized churros served with caramelized milk jam and chocolate sauce. Revel in an authentically immersive experience of Latin cuisine with Argentinian flair only in Sudestada Jakarta. The grill, bar and cafe opens daily from 7.00 – 23.30. For more information or reservations, please call or Whatsapp +6281331265567 or booking@sudestadagrill.com .